Insurance Repository services with a provision to open e-Insurance Accounts was launched in 2013. This service has not been as successful as might have been expected. The main reason for this is low level of awareness about e-insurance account. 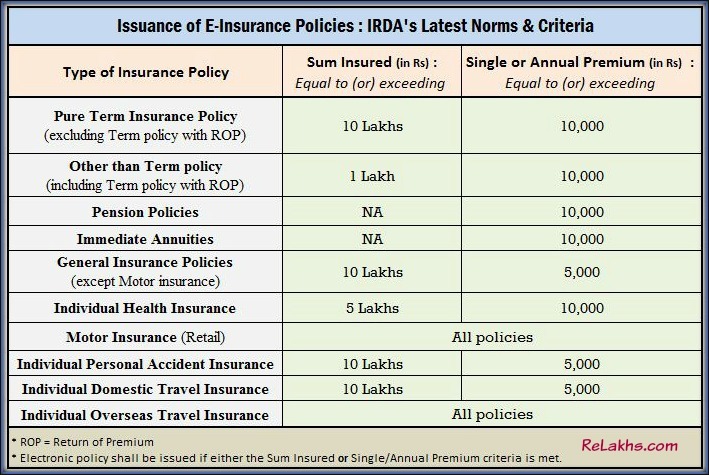 Also, IRDA (Insurance Regulatory & Development Authority) has not yet made it mandatory for the Insurance companies to issue eInsurance Policies (Electronic version of Insurance Policies) to its policy holders. So, the insurance industry has never made a sincere attempt to market this service aggressively. Electronic insurance will become mandatory for annual premium equal to or above Rs 10,000 in life insurance policies beginning 1st October, 2016. These new norms will also be applicable to Non-life insurance policies. 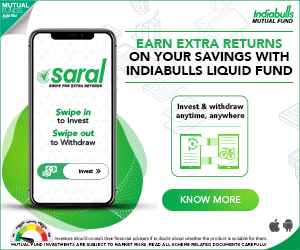 In this post let us understand – What is eInsurance Account (eIA)? How to open E Insurance Account? What are the benefits of Electronic Insurance Account? What are the latest norms regarding issuance of eInsurance policies? Are these new norms applicable to both Life & Non-Life insurance policies (like Health, Motor, Personal Accident, Travel insurance etc.,)? “Insurance Repository” means a company which has been granted a certificate of registration by IRDA for maintaining the data of insurance policies in Electronic form on behalf of the Insurers. The Insurance Repositories provide the ease of holding insurance policies issued in an electronic form. To provide insurance policy-holders a facility to keep insurance policies in electronic form (dematerialized form). To provide policyholders a facility for changing, modifying and revising the insurance policies online. To act as a single stop for policy servicing needs. To bring about the efficiency and transparency in the issuance and maintenance of insurance policies. E-Insurance Account is an online repository system where you can electronically store all your insurance policies and maintain your insurance portfolio. It is a unique Account number (13 digit eIA number) and each account holder will be granted a unique Login ID and Password to access eInsurance policies online. Similar to shares/mutual funds, you can access the insurance policies’ details electronically. Note that one policyholder can not have more than one e-insurance account. Every insurer soliciting insurance business through electronic mode shall create an e-proposal form similar to the physical proposal form approved by the Authority. Such form should enable capture of information in electronic form that would enable easy processing and servicing. The e-Proposal form shall also have a provision to capture the electronic Insurance Account (eIA) number which shall be filled by the prospect. Every such insurer shall also make available physical version of the e-proposal form as mentioned in the above points. Where the information is captured in physical form, then the insurer shall make necessary arrangements to convert the information furnished by the prospects into electronic version. In case the prospect does not have an eIA number, the insurer shall facilitate the creation of eIA number wherever the electronic insurance policy is proposed to be issued through the Insurance Repository System. When the prospect furnishes the details in e-proposal form, it shall carry his electronic signature. Every insurer shall issue electronic insurance policies that fulfill the below given criteria in terms of Policy Sum Assured (or) Premium. Issuance of Electronic Term insurance policy is mandatory, if the sum assured is equal to or more than Rs 10 Lakh (or) single/annual premium is more than Rs 10,000. It is mandatory to issue all motor insurance & individual overseas Travel Insurance policies in an electronic form. Individual Health insurance policies with sum assured of equal to or more than Rs 5 Lakh (or) annual premium is more than Rs 10,000, policies shall be issued electronically. Electronic insurance policies may be issued by the Insurers either directly to the policyholders or through the registered Insurance Repositories. All policies issued in electronic form by the Insurer directly to the policyholder shall also be issued in physical form. In all such cases, copies of the proposal form, etc shall also be sent in physical form. Physical version of the eInsurance policies need not be issued when electronic insurance policies are issued through the platform of registered Insurance Repositories. Similarly, copies of the proposal form etc. may also be sent in electronic form to the insured along-with electronic insurance policies. The physical form of the electronic Insurance Policy shall be a replica of the electronic form. An insurer may offer discount at premium rates to the policyholders for such electronic insurance policies exempt from issuance in physical form. The policyholders who wish to avail the facility of electronic insurance policy may register their choice with the insurer. Every insurer shall mandatorily issue electronic insurance policies in disaster prone and vulnerable areas as specified by the Authority. How to open an E-Insurance Account? You can open an eIA with a company of your choice. You can apply for an e-Insurance Account online. All these companies provide online facility wherein you can fill the application form with all the details online, take a print of it, sign and then can submit the completed form at any of their service branches or to any Insurance company / Approved persons. An eIA will be opened within 7 days of the receipt of the application. Once e-Insurance Account is created, you will receive a welcome kit. A pin mailer shall be sent separately. Using the login credentials and PIN, you can access and start using your e-Insurance Account. The insurance policies are stored in electronic form. The risk of losing the policy bonds are avoided. The details of the insurance policies can be accessed from anywhere and anytime. Service requests like ‘change of address’ can be submitted on your e-insurance account. The IR will update the same on all the policies which are linked to the e-insurance account. There is no need to visit all the insurers. One time KYC (Know Your Customer). No KYC repetition when you buy new policies. There is no cost involved for the policy-holders to open an e-Insurance Account. It is free of cost. Insurance Repositories are paid by the insurers for their services. Premiums for all the policies can be paid online. Policy benefits like money-back installments /survival benefits/claims can be paid electronically through the registered bank a/c of the policyholder. An authorized representative can be appointed by the e-Insurance account holder to operate his/her account in case of unfortunate demise. Nominee and authorized representative can be the same person. The e-Insurance Account holder will have an option to shift (portability) from one Insurance Repository to the other. You can opt out of this service anytime. When you are buying a new insurance policy, quote your e-Insurance account number in the insurance proposal form. You can request your insurance company to issue the policy in electronic form. You can also add the existing insurance policies to your e-Insurance account. Before converting the policies, you need to open the e-Insurance Account. Thereafter, you simply need to quote your policy number to convert the new / existing policies. A list of all policies that are credited will be available in the e-Insurance Account. For each policy, details like the status, commencement, maturity/expiry, nomination, assignment, endorsement, address, terms and conditions etc., would be available. In addition, the e-Insurance Account holder will be able to download a copy of the policy bond. Do you maintain your insurance policies in electronic form? Would you like to open an Electronic Insurance Account in future? 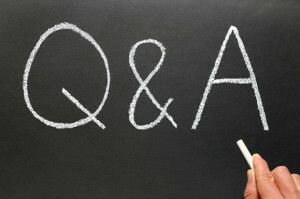 Kindly share your views on eInsurance policies & E-Insurance account. Thank you! Can a NRI or person having OCI status open an Einsurance account and add existing policies? Dear Parag..I am sure that NRIs can open eIA (but I am not very sure about OCIs). I recently bought a life insurance of Rs.50 lakhs cover/sum assured. The policy was issued to me on 20th of this month and was received by me today. Will this provision also applicable to my policy? Nevertheless, I have applied for eIA through FundsIndia which is likely to be operational by next week after which I may apply for dematerialising my policy. Dear MAYUR..Yes, you can add your existing policy. Sreekanth sir, I have opened a eInsurance account through CAMS Report one week ago. But I have not submitted my A/C no and approved person for me. How can I do that? What are the benefits after adding this option? I saw that few Insurer are enlisted in CAMS Repo list. As for example, HDFC ERGO, Royal Sundaram Lifeline Supreme Health plan. So, how can I add this? Last one is customer service of CAMS Repo is disgusting. They are always unavailable. How can I get rid from them? Thanks for your blog. If you have already opened the account then you may just add your insurance policies to your EIA number. All the five entities you have mentioned are horrible in nature in terms of there service because of this has not been succesful in last so many years. I have converted all my e-insurance to physical form when there is no one to sort out the issue. The service is terrible. My suggestion to all the reader, please don’t convert to e-insurance, you will regret. An individual can I have only one E Insurance account? So, was just wondering if you had chance to evaluate the services of all the five entities ?? Kindly note that I am not recommending any particular entity here. As this service is going to be mandatory, we may see business of these entities growing up and thus the SERVICE levels too (if they are bad as of now).